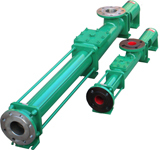 The ‘S’ Series pump is the most commonly used type of Progressive cavity pump. 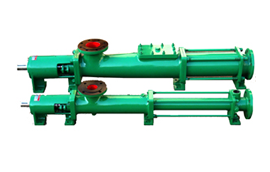 These are the basis for all the other type of Progressive Cavity pumps available .They can be supplied with various rotor/stator geometries. 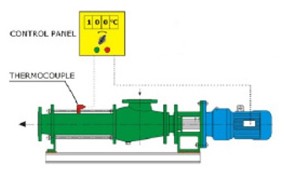 This pump type finds it’s application in almost all industrial applications, successfully being used in even the most demanding of applications, where most other pump types fail. These pumps can be used for pumping low-viscous to highly viscous media with or without solids thereby increasing its scope of application. 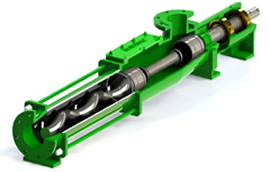 Non-clogging: handles solids in suspension or mixture containing high percentage of solids. Can work on Snore: inherently self-priming. High Suction Lift: low NPSH(R), effective in high vacuum conditions. 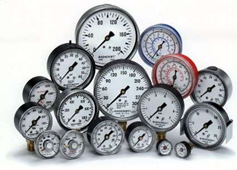 Minimal Internal Wear: Gentle handling of shear sensitive and abrasive products because of low internal velocity. Reversible: suction and delivery ends can be interchanged by merely changing direction of rotation of the prime mover. Versatility: handles abrasive, shear sensitive and viscous materials, solids in suspension and air-solid-liquid mixture. SAP range uses the totally encapsulated Pin-Bush Type Universal joints , these are long lasting and ensure a low maintenance and replacement cost. Frequency of parts replacement is reduced due to robust Joint Design , they function seamlessly even in the most ardous & demanding Industrial applications. SDCP Range totally encapsulated Pin-Bush Type Universal joints , these are long lasting and ensure a low maintenance and replacement cost. 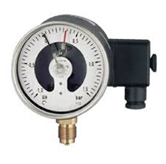 Suitable for restricted spaces of operation or mobile pump sets along with low maitainence & cost effectiveness. Our carefully designed valves are extremely robust in nature and are designed to suit our pump systems.